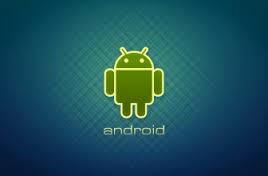 One of the major problems Android (Smartphone) users encounter with their phone is slow running of app, sometimes the app they wish to run in their phone hang/seize. In this post, I will show you six (6) proven ways to make your android phone much faster and responsive. 1. Delete Un-used Applications: - Keeping un-used app on your mobile phone has no meaning, please delete it to make space. Just go to settings >> applications >> click and hold the app for like 2seconds >> click Uninstall. 2. Restarting Your Mobile Every Morning: - Restarting your android, releases occupied memory spaces and it boost your mobile from hanging. 3. Delete Irrelevant Apps: - Most people love installing both good and bad apps on their android phones and call it swag. I remember when my phone has alot of apps, not knowing they are killing the phone, e.g some people installed AVG antivirus, AVAST Mobile Security, Netqin, hmmm that is very bad. What do you need three antivirus for? Please install only one antivirus app and let your mobile be moderate. 4. Update Your Anti-Virus:- Do update your antivirus and always scan your mobile, maybe before going to bed, some antivirus has that features, i.e auto scan of mobile by the time set. 5. Save Apps to Memory Card (SDcard):- Save apps to memory card to make your mobile space free, so as the phone to carry out necessary task with ease. 6. Deleting Read & Sent Messages: - Sometimes i wonder why some people keep sms from service providers like airtel, glo, mtn and etisalat. I remember when i do such but since i learn this trick, my phone runs faster now, so please keep your message box tidy. Note: Apart from the above mentioned tricks, if you have or know any other ways someone can use to make his/her android phone to be faster and responsive, please kindly let us know by commenting on this post. Thanks. In my subsequent post, I will share with you more tricks or ways to make your Android phone to be faster and responsive. So, SUBSCRIBE to this blog now if you don't want to miss them, even if I post them here, when you are not online.